Stocks fell last week pushing major equity indexes to their first weekly decline in nearly two months. Investors turned skittish as expectations of a rate hike in December rose, and disappointing retail data and earnings were released. The S&P 500 lost 3.6%. The Dow Jones Industrial Average fell 3.7%. And, the Nasdaq Composite collapsed 4.3%. Lackluster retail sales were reported last week by the Commerce Department as U.S. consumers spent just 0.1% more than in the month of September. This is well below the 0.3% rise expected by economists surveyed by Bloomberg. Gasoline prices continued showing declines as prices have fallen more than 20% over the past twelve months. Core sales, which excludes gas prices, rose slighter better at 0.2% month over month. However, only seven of the 13 major retail sectors displayed progress. This was led by restaurants, builders, and internet sales. 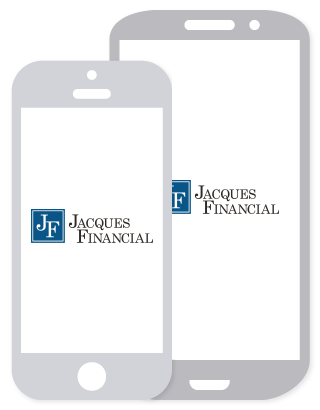 On top of this, a few major retailers reported disappointing quarterly results, especially large department stores. All retail related news was not bad, though: on Friday the University of Michigan released its preliminary November sentiment index, which rose to 93.1 from 90 in October. This was well above expectations. The story is different in China. Last week the Chinese government reported that retail sales witnessed their biggest increase of the year in October. Additionally, a 24-hour record was broken on Wednesday when Alibaba reported it sold more than $14 billion worth of goods on “Singles Day”, a holiday it created a few years ago to promote giving gifts to yourself if you are single. On top of this, one of that country’s largest airlines reported a near 12% increase in passenger traffic for October, another sign of increasing consumer confidence. The consumer data however, is in stark contrast to the weakening manufacturing environment. Industrial production in China decelerated to 5.6% in October. This is acting as an anchor on China’s export-driven economy. Exports fell for the fourth consecutive month in October. Last week, Neel Kashkari was tapped to become the next president of the Federal Reserve Bank of Minneapolis. Mr. Kashkari rose to prominence during the housing crisis when he oversaw the Treasury department’s bailout of the banking industry. At 42, Mr. Kashkari will become the youngest member of the Federal Reserve’s Open Market Committee where he replaces Narayana Kocherlakota, one of the committee’s most vocal doves. 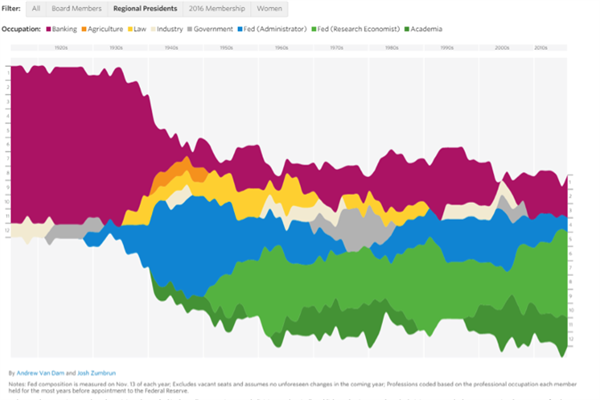 Not only does Mr. Kashkari’s age stand out, but his appointment flies in the face of a trend dating back to the 1950s where regional presidents increasingly came with academic backgrounds in economics. However, there is a new trend developing. Neel Kashkari is the third new president of a regional bank to be appointed in 2015. The common thread between all three? They all formerly worked at Goldman Sachs. Google’s self-driving cars are a familiar site around Silicon Valley, and they may someday become the norm on all U.S. roads. Until they do, there will always be concerns about safety. Especially since it’s hard to imagine how these machines will be policed. Or is it? 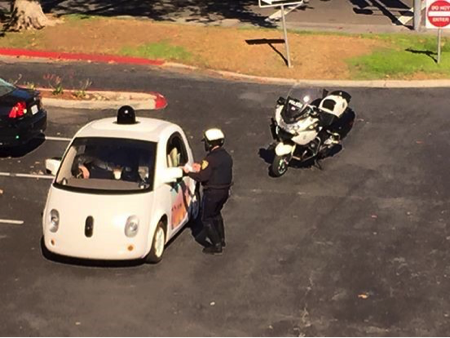 Last week, David Weekly, the head of Google’s Rapid Rollout Lab tweeted a picture of a driverless car being pulled over by a California patrolman. Was the car careening recklessly through the street? Did Google’s algorithms fail, sending the vehicle through red lights? No. The car was pulled over for driving too slowly. Perhaps they will be safer than we think. One question remains though: who did the officer hand the ticket to?